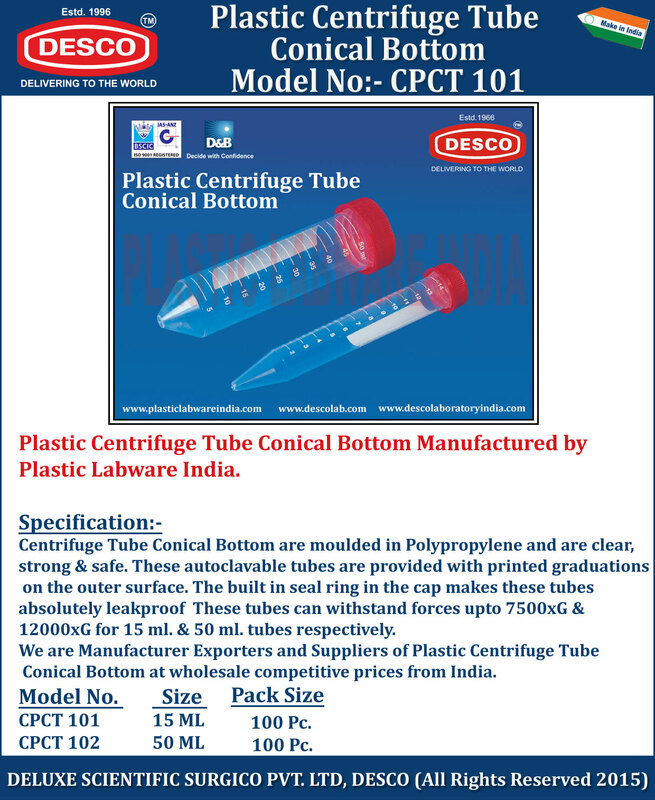 Centrifuge Tube Conical Bottom are moulded in Polypropylene and are clear, strong & safe. These autoclavable tubes are provided with printed graduations on the outer surface. These tubes can withstand forces upto 7500xG & 12000xG for 15 ml. & 50 ml. tubes respectively. We are Manufacturer Exporters and Suppliers of Plastic Centrifuge Tube Conical Bottom at wholesale competitive prices from India. CPCT 101 15 ML 100 Pc. CPCT 102 50 ML 100 Pc.